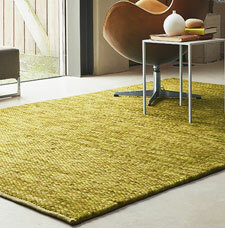 Pinto-Stubble is a collection of luxuriously hand-woven pure new wool designer rugs. The collection includes two qualities; Pinto & Stuble, both of which feature a tone-in-tone colouring, which is the use of two or more close shades of the same colour. This colouring technique along with the texture and soft feel make for stunning floor covering pieces that are suitable for any room setting.